Mediation is a form of settlement negotiation conducted and assisted by an impartial person trained in the art of settling disputes. Unlike arbitration and other kinds of alternative dispute resolution, mediation is non-adjudicatory. The mediator makes no findings of fact or law, whether binding or non-binding. Mediation is a process whereby a trained third party neutral person acts as a facilitator in an informal and private setting to assist the parties in settling their dispute. The mediator assists the parties in focusing on the core issues and in generating options for the resolution of the dispute. The mediator does not make findings of fact or law, whether binding or non-binding. The mediation process is generally conducted in three stages. Mediation proceedings are made privileged and confidential by law. The law prevents the mediator or any party from telling the court anything discussed during the course of mediation. At most, a mediator my merely report to the court that the case settled, or did not settle. For further information on this facet of mediation, please see Civ. Prac. & Rem. Code Section, 154; Tex. R. Evid. 604. The first is the general session, which is usually a joint session, wherein the mediator explains to all parties the process and ground rules. Each party’s attorney will then be allowed to briefly outline their position on the facts and the law. None of the actual parties are required to speak, although they are allowed to do so. The mediator may ask a few questions here to clarify facts and issues, and to further identify where there is already agreement or common ground, and to determine the prior history of any settlement negotiations. In the second stage of mediation, I usually separate the parties into different conference rooms for private meetings, which are called “caucuses”, where the parties can discuss their positions on settlement with the mediator in confidence. All communications with me during this session can be deemed by a party to be completely private and will not be shared with the opposing party. This protection encourages the parties and their counsel to be fully candid with me and it also allows me the opportunity to freely discuss with them the risks that they face, the weaknesses of their case and the strengths of their opponent’s case. Following caucus sessions with all sides, I then undertake shuttle diplomacy between the caucus rooms engaging in a range of settlement discussions aimed at narrowing the gap between the parties’ expressed positions on settlement. 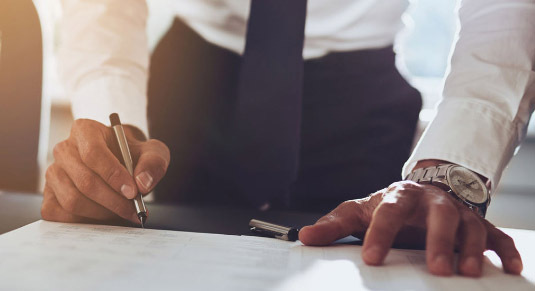 When a settlement agreement has been reached, the parties then participate in the third stage of mediation, which is the preparation of a written agreement. The agreement should reflect the basic terms of the settlement. All parties will sign the agreement, which is usually drafted by the parties to be binding and enforceable. Additional time billed at $200 per hour, per party, after 5:30 pm. Mediation is a form of settlement negotiation conducted and assisted by an impartial person trained in the art of settling disputes. Unlike arbitration and other kinds of alternative dispute resolution, mediation is non-adjudicatory. The mediator makes no findings of fact or law. Most mediations require only one day and, typically, cost no more than a single deposition. Some mediators charge an hourly fee, and others charge a flat daily rate that varies according to the amount in controversy, nature of the dispute and the number of parties.